I recently saw an ad for the Rubbermaid Premier and the less expensive but similar Rubbermaid Easy Find Lids food storage containers. I really like how the lids snap to the bottom of the containers so that they don’t make a mess in the cupboard. The average American owns 15 or more food storage containers, many of which eventually lose their lids, get damaged or become stained. In a recent study, 71 percent of consumers said they are routinely unable to find a lid to match their container while another 52 percent had lost the lids completely. Other research identifies staining as the #1 reason that food storage containers are discarded. Rubbermaid is helping consumers to overcome all these food storage challenges with its new Premier line of food storage containers. Rubbermaid Premier is making “lost lids” a thing of the past with its patented Easy Find Lid” design that allows the lids to snap to the bottom of the containers for storage, so the right lid is always at hand. Each lid fits multiple sizes of containers, and lids and bases nest inside one another to free up even more coveted kitchen cabinet space. If you own either of these products, let us know about them in the comments section. I’m eager to hear if the reality lives up to Rubbermaid’s description. My grandmother passed away in 2002. She was old enough to remember being a child in Pittsburgh during the Great Depression. She used to tell stories about her childhood to let us know how lucky we were to have all of the things that we were undoubtedly taking for granted. She remembered sharing what little clothing she had with her two sisters and squeezing her feet into shoes that no longer fit. One year, her Christmas gift consisted of crayons which she received as a joint gift with her sisters. I’m sure those crayons were used in the most judicious manner. Flash forward to the years when my grandmother used to shove sugar and ketchup packets in her purse when we went to a restaurant and you could understand why she did such things. The abundance with which we are so accustomed is easily taken for granted because we really don’t have a frame of reference for the really tough times. My grandmother was also a “pack rat” (i.e. highly cluttered) which we didn’t fully realize until we had to empty her house. She lived in her last home for over forty years, twenty six of those years she lived by herself. The clearing out of all of the stuff from her home was quite a chore. She kept everything that might one day be useful — for example, she had more than five non-working vacuums. I understand why she behaved the way she did, and why others like her do the same. But the reality is that in today’s more prosperous economy it can actually cost a person more to hang on to broken things and store sugar packets. Real estate is expensive, and energy use to properly heat and cool a home in such a way as to keep mold and mildew off of belongings is pricey. If you’re keeping items in an off-site rented storage unit, you’re probably spending more in rent over time than you would if you had to repurchase what you’re storing. Our post on sunk costs also addresses an aspect of this issue. Keep in mind the real expense of holding onto clutter and fight the urge to keep something just because you think one day it might be useful. In many cases, the expense of storage is greater than any cost you may at some point incur. It’s summer party time and that means people are enjoying finger foods such as chips, pretzels, sliced fruits and vegetables, as well as barbequed wings and ribs. For those that like to keep their fingers clean, check out Chip Fingers! These food-grade silicone finger covers have a unique shape that fits on just about any finger size. They come three fingertips to a pack so you’ll have to buy at least two packs to get your thumb and two fingers per hand covered — four packages if you want all your fingers covered. Chip Fingers are heat resistant so your fingers won’t be able to feel how hot those chicken wings are you’ll just use your lips and mouth to find out. I’m sure the burns will heal quickly. They are also reusable and dishwasher safe. Since they are small and light weight, you might want to purchase a dishwasher basket so they don’t fly all around the inside of the dishwasher during the wash cycle. Oh, and you probably shouldn’t take them to any family-oriented events because they are a choking hazard for children and pets. Personally, I’ll pass on these unitaskers because I think barbequed food is finger lickin’ good. 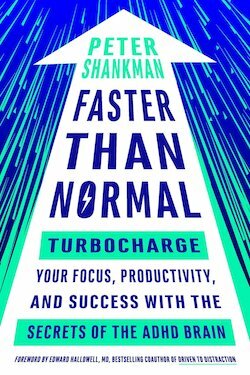 Faster Than Normal: Turbocharge Your Focus, Productivity, and Success with the Secrets of the ADHD Brain by Peter Shankman is a valuable book if you have ADHD. It is packed full of useful, easy-to-implement tips and tricks on how to maximize productivity. Even if you do not have ADD/ADHD, you will find the advice is very helpful. Mr. Shankman starts out by explaining that ADHD is like having a race car brain while everyone else is on a tricycle. He also indicates that it takes skill and practice to drive a race car; to channel, harness, and use the power. He suggests that ADHD medications are useful (and in many cases essential) but people also need to develop practical life skills to manage their ADHD. The book Faster Than Normal, does just that. We’ve mentioned the benefits of rituals and routines many times on Unclutterer. Rituals and routines, after being practiced, become automatic because your brain becomes comfortable with the associated feelings. Mr. Shankman advises that those with ADHD should concentrate on the “great feeling” or reward and work backwards to create the ritual. For example, if you like the way you feel and you perform your best after you’ve eaten a health breakfast, focus on that aspect when you set your alarm earlier in the morning rather than stressing about waking up earlier. Exercise is important for those with ADHD. Mr. Shankman is an Ironman triathlete who wakes up long before dawn to get in a training session before his day starts. His ritual won’t work for everyone. However, there are many things people can do to build in more exercise into their day such as taking the stairs and walking around the neighbourhood at lunch hour or during coffee breaks. He also advocates getting outdoors as much as possible. Your ADHD race car brain needs functions best with race car fuel. Foods high in nutritional value will help keep you running at peak performance levels. Mr. Shankman suggests meal planning, and not keeping junk foods in your desk or cupboards. Mr. Shankman found by experience that improving his sleep significantly improved the quality of his performance and his productivity — something that we’ve talked about on Unclutterer before. Some of his suggestions include creating rituals around bedtime, reducing screen time in the evening hours, and using a sunrise/sunset simulation light. For many with ADHD a chaotic environment at home or at work is detrimental. Uncluttering (the fewer squirrels you can see, the less often you’ll be distracted) and eliminating choice (the fewer shiny things to choose from, the easier it is to choose) will help you be more productive. Mr. Shankman talks about triggers that can set off ADHD. These triggers are like potholes in the road of life. Hitting one while riding a tricycle is no big deal but when you are driving your ADHD race car brain, it may cause you to spin out. Triggers vary by person but can include things like a messy house or office, excessive noise, or proximity to bad vices such as alcohol, tobacco or gambling, etc. Mr. Shankman is a big fan of outsourcing tasks such as hiring a personal assistant, housekeeper, professional organizer, travel agent, etc. This may not be an option for everyone and he offers several suggestions for getting the work done when you can’t afford to hire someone. There are many time management techniques described in Faster Than Normal. These include scheduling meetings for only one day per week, planning mini-tasks for short-burst downtimes (e.g., waiting in the dentist office), and planning out projects by creating deadlines for them. Many digital tools to help manage ADHD are suggested such as password managers, document and software backup systems, and cloud storage. Mr. Shankman also recommends apps that span a large range from to-do lists to health trackers and explains how to use them with your ADHD to maximize productivity. At the end of the book, there is a great chapter for those who have a close relationship with someone with ADHD. It explains how we can support our ADHD loved ones in their efforts to be effective and productive by assisting them in their weak areas and helping them recognize their strengths. If you have read this book, please add a comment letting us know how it affected your ability to unclutter, organize and stay productive. If you have ADD/ADHD or are close to someone who does, feel free to share your tips and tricks with our readers. As an adult, you can write “No Gifts Please” on birthday party invitations and guests usually respect these wishes. It doesn’t work this way for children’s parties, however, or for baby showers or even random trips to grandma’s house. Children love gifts and people love giving children gifts. It’s the way of the world. Gifts, although well intentioned and truly appreciated, can still end up as clutter. For example, my friend Kristine received 14 baby blankets at a shower her mother threw for her when she was pregnant with her second child. She ended up keeping a couple that were hand knit, one that was quilted, one that could easily be laundered, and then gave the other 10 to charity. She was extremely thankful for the generosity people showed toward her and her future child, but there was no way that she could store or ever use 14 baby blankets. Establish a baby registry. Amazon has an online registry where friends and family from across the country can purchase items for expecting parents. These lists help to focus gift giving toward things that new parents need. Yes, it is sterile and soul-less, but it also is considerate and useful. Throw a “help the community” party. When my friends adopted a baby from China, they had a baby shower where people brought gifts for the Chinese orphanage. When the couple traveled to pick up their daughter in China, they took the blankets, books, and clothing to the other orphans in China still waiting to be placed with families. Have a “pamper the parent” party. Before a baby arrives, mothers and fathers are often the last people on everyone’s minds. Remind the parents that you’re thinking of them, too, by having a day at the spa where guests can join the expecting parents in manicures, pedicures, and massages. Have a theme party. On a child’s first birthday, have a “stock the library” party where attendees bring their favorite children’s book. If your child can’t get enough of trucks when he’s two, ask for attendees to bring truck gifts to his party. A focused theme helps to target gifts toward things that will be used, and also helps the gift buyer when trying to think of what to bring. Have an adventure party. In lieu of gifts, let party attendees know that there will be a small fee (I’d try to keep it to $15 or less) to white-water raft or ride in a hot air balloon or be admitted to Six Flags. This is probably an approach best suited to older children. Other parents will thank you for not having to buy a gift and for taking their children off of their hands for a few hours. Plus, your child will remember the experience for a lifetime. Remember, too, that family members still will likely give gifts, so there will be presents for your child to unwrap at some point during the day. Let’s hear from parents about other ideas for good gift-giving parties in the comments. On Unclutterer, we’ve certainly glossed over the death topic. The truth is that we don’t enjoy thinking about it either. However, if you’re going to take the time to get your life organized, you would be remiss to ignore that there will be a point where you’re no longer here and others will need to find important documents and information to close your estate. We call these our “In case of …” files. In mine, I include things like contact information for employees, server details, and passwords, and a key to my fire-proof safe where I store my Will and a copy of my birth certificate. The idea is that if something does happen to me, I want things to be easier on my close family and friends who are mourning. I’d rather them have good thoughts of me after my passing, not angry thoughts because they searched for hours trying to find my life insurance policy to pay for the funeral. If you’ve never put together an “In case of …” file, the best place to start is by visiting a lawyer to draft your Last Will and Testament. This document will include answers to all of the big questions: custody of children, property disbursements, where you want to be buried, etc. 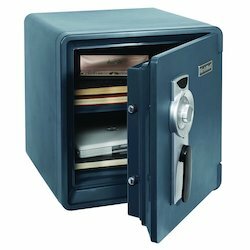 After you have this document created, you’ll then need to pass along the name of your lawyer to at least two different people — someone who lives near you (spouse, partner, close friend) and someone who lives in a different part of the country or world — and then store this document safely (such as in a UL 350 fireproof safe). The rest of your “In case of …” file will be up to you in terms of its contents. Are there people who would need to be contacted at your job? Are you the primary care provider for a child, sibling, or parent who may need to receive immediate attention before the reading of your Will? Do you have bills that have to be paid? Look at your life and identify all of the places that could be stressful for someone to handle if you weren’t there to help. Now, provide information on those issues and put it in your “In case of …” file. It won’t be a fun process while you collect the information, but afterward you’ll have a peace of mind that things will be okay in case something happens. RSVP International Deluxe Corn Stripper works on a similar principle to an apple corer. You insert the cob in the tube and push down the blade. The kernels are shaved off and the cob remains within the blade tube. You then use a plastic rod to poke out the cob. (The instructional video is here.) The four separate parts are dishwasher safe. The RSVP International Deluxe Corn Stripper received high reviews on Amazon unlike many of the unitaskers we feature. 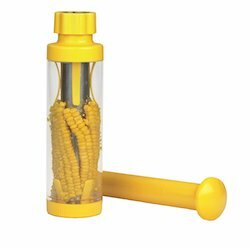 I suppose if you thought you needed a corn stripper to clutter your cupboards, this would be the one to get — as long as you don’t try to use it for extra-large cobs. I wonder why people buy corn on the cob when they can’t eat it. When my children were younger and had orthodontic appliances (retainers, braces, etc.) it was just so much easier and less cluttered and unitaskery to buy corn off the cob. When we went to a friend’s home, we used a multi-purpose knife to cut the corn from the cob. It was easy to wash one knife instead of four different parts of a corn stripper. Thanks to my cousin Lisa for sharing this unitasker on Facebook. Since I know she, and probably many of our readers, are from farming families, I’ll share this video I found for Corn Shelling the Easy Way…Hillbilly Style! I love food and cooking but I’m not a big fan of grocery shopping. I would be, if I were the only one in the store and I had an unlimited amount of time and money, but that is never the case. Consequently, I am always searching for new ways to minimize my time in the grocery store. Over the years, I’ve tried various grocery list apps. Many of them were simply lists. I had to manually type all items, one by one into a list on my phone. Once they were purchased and checked off, I had to either uncheck them manually if I wanted to keep them on the list to buy again next week (milk) or delete them if they were just “once in a while” purchases (ketchup). Some apps let me choose food items from a database but the database could not be modified. I could not add, delete, or edit to specify a certain brand. Some databases were so large it was time consuming to find items. Some databases were too small or too different from our family’s eating habits to be useful. For almost a year now, I’ve been using the Grocery Gadget app on my iPhone. It’s also available for Android, BlackBerry, Windows Phone, Nokia, and Amazon Nook. See the promo/demo video here. If you sign up for a free account with Grocery Gadget you have access their robust and customisable database and can sync it to your phone. For me, this was a real time saver as I could see and edit the entire list on my large computer screen instead of only on my small phone screen. I spent a few hours updating the database by deleting the foods we never eat, adding items we do eat, and updating the existing items by specifying brands and package sizes we prefer. It allows for both U.S. and metric sizes and will allow you to specify if the item is in a jar, box, bottle, etc. You can also add the price of each item as well as any applicable taxes. You can edit the tax rates to whatever percentage applies in your area. This allows you to see your total grocery bill before you even head out to the store. Another great feature of Grocery Gadget is the ability to add photos and UPC bar codes to each item. This is very handy when you are staring at a shelf of razor blades and cannot remember which brand your husband uses and which brand your teenager son uses. I just look at the photo and scan the bar code with my phone! I do about 95% of my grocery shopping at one specific store, so I went a step further. I renamed the categories based on the aisles in my grocery store. Since the categories are always listed in alphabetical order, I added numbers to the beginning. Produce is the first section in the store when I walk in the door so the category was named 00 Produce. The deli section is at the end of aisles 2 and 3 so it is called 025 Deli. It took me a few weeks of slightly extended grocery shopping sessions accessing the database on my phone to ensure each food item was in its correct category but the time invested at the beginning has more than paid itself back. 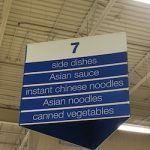 Now, I don’t even have to walk down aisle 7 if I don’t have anything to buy in category 07 Sides Asian Canned Veg. This is a big time-saver especially when the store is busy — and a money saver too because I’m not tempted to buy items that are not on my list. Because my grocery list syncs through the free web portal, everyone in the family uses the app and can add items to the grocery list at any time. Sometimes I will be at the grocery store and all of a sudden “cheese slices” will appear on my list. I know immediately that I need to buy more which saves me a trip to the store later in the week. If my husband and I shop together, we can go to different sections, check off items as we pick them up, and get everything in half the time without duplicating items in our trolleys. The Grocery Gadget app works very well for our family and the way we shop. But I’d like to hear from our readers to know what they prefer. Please share your grocery list techniques in the comments section below. I have a friend who is a psychologist who specializes in family therapy. One of the reasons I love this friend is because she doesn’t seem to mind my endless supply of psychology of clutter questions. I’ll ask her a question, she’ll think about it for a week, and then she’ll provide me with a brilliant response. A few months ago, I asked her to assist me with constructing a post to help mismatched couples. When I say “mismatched couples,” I’m talking about couples where one of the people in the relationship is clean and organized and the other person in the relationship is messy and disorganized AND at least one of the two people has animosity about the difference. (If no one seems to mind, then the pair isn’t mismatched.) The following advice derives from the conversations we’ve had on this topic since I first posed the question to her. If you’re a part of a mismatched couple, hopefully we can be of assistance. When considering moving in with someone (romantic or otherwise), a person’s level of order and cleanliness should be part of the equation. Similar to how in pre-marriage counseling couples are asked to discuss finances, living arrangements, and household expectations also should be discussed. No one should be surprised six months into a living arrangement that his or her partner/roommate is messier or cleaner than one had hoped. If you’re already in a living arrangement and are disappointed by your partner/roommate’s level of order, you need to have a conversation. Yelling and passive aggressive behavior is not productive and damages the relationship. Having a calm, sincere, and respectful conversation has the possibility of yielding powerful results. No nagging. Treating someone with disrespect is never a good option. Either the person honors what you say the first time you say it, or they don’t. All nagging says is: “I believe you are an idiot and I think I have the right to constantly tell you that you’re an idiot.” No one responds well to that message. No backpacking. Set a time limit for how long after something happens that it can be discussed (like two weeks). If you don’t bring up the frustration within that time limit, you have to let it go. You can’t fester or stew on a frustration. Also, if you’ve already discussed something, you can’t bring it up again. The reason it’s called backpacking is because it’s like people carry around another person’s wrongs in a backpack and pull every wrong out of the bag when there is a disagreement. Don’t backpack, it isn’t fair. Discuss the real problem. If you’re upset that your spouse repeatedly leaves dirty dishes strewn about the living room your frustration has very little to do with dirty dishes. You’re upset because you believe (s)he doesn’t care about the cleanliness level in the living space. So, talk about the real problem and use the dirty dishes as an example of how that lack of caring is expressed. Often times, the person who is messier doesn’t care one bit if the living arrangement is disorderly or orderly. When this is the case, and if you’re the one who prefers a more orderly home, prepare to take on full responsibility for cleaning up after the other person. Happily do the work because you’re the one who gets the sense of joy from an organized space. If a pair of shoes in the middle of the living room floor annoys you, just move the shoes to a location that doesn’t annoy you. The five seconds it will take you to move the shoes are less than the time you will be angry over the shoes if you don’t move them. The children’s book Zen Shorts beautifully addresses this topic. Maybe the problem is that there aren’t any systems in place to deal with the mess where it happens. For instance, my husband stores his wallet in a valet in our bedroom. I store my purse in a cube near the front door. He puts his wallet in his pocket first thing in the morning and takes it out at night before he goes to bed. I only grab my purse as I’m entering and exiting the house. If my purse were supposed to be stored in a valet in our bedroom, I can guarantee you that it would never be in the bedroom. It would be on the dining room table or living room floor or wherever I conveniently dropped it. So, a storage cube near our front door is the best place for my purse because it’s a storage location that works. Think about how you live and find solutions that meet your actual needs. Designate “clean rooms” or “messy rooms” in your home. In my family, we insist that all public spaces are clean rooms. This means that rooms visitors will see when they come into our house must be free of clutter. Visitors rarely come into our office, though, so the rules for this room are less stringent. Things can’t be dirty (no food or bug-enticing items), but if objects are left out of order in this space it’s less of an issue. A once-a-week cleaning is more typical in our messy spaces. Finally, if you’ve tried all of the previous options and nothing is working for you, try seeking outside help. This help can be in the form of a professional organizer or maybe a couple’s counselor. If you’re in dire straights, you want to work with someone who isn’t a part of your relationship and can see it more broadly. I don’t recommend using a friend or family member for this task — if you do, the other person will believe that you’re ganging up on him or her, and that won’t be productive. Also, professional help could be in the form of a cleaning service coming into the house twice a month. Let someone else handle the deep cleaning so that the light work is less of a burden. If you’re a part of a mismatched couple, what effective strategies have you employed? I’m sure that everyone could benefit from reading your positive results in the comments. My friend is an executive assistant. Over drinks one night, I asked her what an executive assistant does. She responded that during her morning she drove to her boss’ house and fixed a power generator, she picked her boss up some lunch on her way back to the office, she returned phone calls for her boss for an hour in the afternoon, got coffee for her boss and a visiting international celebrity around 3:00 pm, and then dropped off her boss’ dry cleaning on her way home from work. I told her that I needed an executive assistant, and she agreed that she needed one, too. Errands tie up a great deal of our time and keep us from living in a stress-free home. In fact, stuff related to errands that I need to run often clutters up around my front door — clothes that need to go to the dry cleaner, books that need to be returned to the library, bikes that need to be serviced, etc. — and sits there nagging at me until I can spend four or five hours doing a bunch of errands I don’t really want to do. In many large communities, there are companies established to provide personal assistants and errand runners at hourly rates. An internet search of your area might turn up a list of names. Check out customer reviews, and then take advantage of your own personal assistant. If, like me, you live in a place without these companies, offer to pay the neighborhood high school kid $50 a week (plus fuel for the car) to run all of your errands for you. Open a pay-in-advance credit card with limited funds for the hired hand to use when picking up your dry cleaning and repaired bike. After one week of working for you, I doubt that you’ll even miss the $50. Think about adding an extra $20 or $30 for the kid to also mow your lawn or shovel your snow. You can spend the free time enjoying the extra time in the company of your family or cleaning out your dusty attic. Regardless of what you do with your time, though, that cluttered pile of “things to do” next to your front door will be gone. When I was in college, I served on the International Board of Officers for a community service organization. More than 10,000 kids across the world were members of the organization and 11 of us served on the Board the year I was a Trustee. Being on the Board was an incredible experience and it taught me a great deal about leadership, running a large organization, and time management. I was traveling nearly every weekend and I was constantly struggling to stay on top of my school work and other responsibilities. A girl named Lisa was one of my fellow Trustees. She is one of the most naturally organized people I’ve ever met. If you say that you need something, she will reach into her purse and retrieve whatever it is you requested. You say that we should schedule a meeting, and her calendar is already open. Nothing is left to chance in Lisa’s world. And, since I was completely disorganized, she was definitely a positive influence on me. She was right. 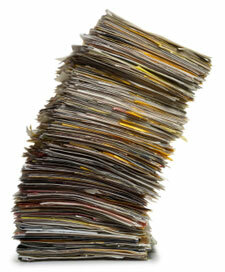 At some point, I would have to pass along my “files” to the next group of Trustees. I didn’t plan on being on the Board forever. When I inherited my files from the previous Board, they certainly didn’t look like they did when they were in my possession. I wasn’t inconveniencing myself, I was making things harder on the people who would serve after me. I went home and immediately organized my files. Since that day, I’ve always kept organized files for the exact reasons Lisa outlined for me years ago. Eventually, I’ll leave a job and someone else will have to come in to do the work. Or, if I need to take time off, a colleague might need to access the files without me there to point the way. Some files may have personal use, but, on the whole, work files are there to serve as a record for those who come into the job after you leave.